Rockford Public Schools are expanding their participation in Special Olympics programming for the 2015-16 school year to include Young Athletes, Unified soccer and Track, Project UNIFY and many of the 19 Special Olympics-style sports already offered through Special Olympics Illinois. 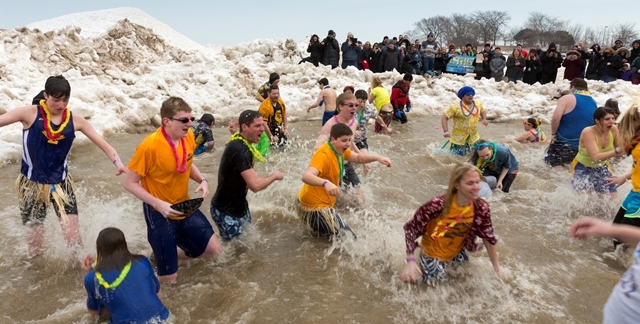 Special Olympics Illinois is looking for interested individuals to be part of this expansion. The success of this expansion depends on the participation within the schools. Special Olympics Illinois strives to ensure that every employee at Rockford Public Schools is aware and informed of the upcoming opportunities and to that end they will be holding an informational gathering on Wednesday, April 8, at the Rockford Public Schools Administrative Center from 4-5 p.m. The event includes snacks, door prizes and giveaways. Deming Fanslau, an inspiring athlete and Global Messenger, speak about his experience with Special Olympics Illinois. All are invited to come and learn more about these exciting new initiatives and how to get behind the Special Olympics movement. Please mark your calendars and help spread the word! If you are interested in attending or have any questions please contact Jen Marcello or Missy Darling. Special Olympics athlete Bill Braasch with one of the teams competing in the Aeron Hockey Tournament. On Feb. 19, Interior Investments hosted the 9th Annual Aeron Hockey Tournament. More than 30 teams from the Chicago architectural and design community and commercial real estate firms competed for bragging rights in this unique event held at Navy Pier in Chicago. Chairs typically hailed for their ergonomic virtues, zip around the floor of the beautiful Grand Ballroom in spirited floor hockey competition throughout the night. The Aeron Hockey Tournament brings together industry leaders for a fun, crazy and competitive evening. The event organizers, Interior Investments, generously share all proceeds with Special Olympics Illinois. The donation this year, including contributions from Cannon Design and ESD, exceeded $40,000! The donation was accepted at the event by Bill Braasch, Special Olympics Illinois Area 3 athlete and Kathy McLaughlin, Director of Development. 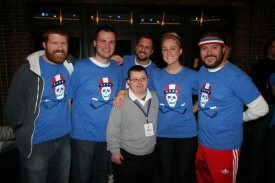 Join Special Olympics Illinois for the 7th Annual Beyond the Ivy Rooftop Party on April 29. 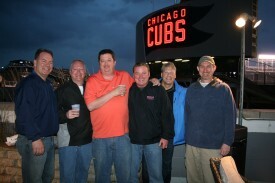 Enjoy a fun evening and exclusive rooftop views of all the action at historic and beautiful Wrigley Field. Game time for the April 29 game between the Chicago Cubs and Pittsburgh Pirates is 7:05 p.m. Purchase an individual ticket for $75 and group tickets can be purchased at greater value. Tickets include unlimited food, beer, wine and soda and also a fun silent auction. For more information, contact Kathy McLaughlin at 773-278-2178. To purchase your tickets, visit http://beyondtheivy.eventbrite.com. The Special Olympics Illinois Young Professionals Board (YPB) was formed 10 years ago to raise funds for the Chicago program of Special Olympics Illinois. This group of more than 100 men and women is planning the 10th anniversary of a fundraiser they have enjoyed since 2006. The 10th Annual YPB Pub Crawl will be held on Saturday, April 11, at locations in the Old Town neighborhood of Chicago. Admission is $20 and, if purchased in advance of April 11, guests will receive three complimentary raffle tickets ($5 value). Tickets can be purchased at: http://ypboldtownpubcrawl.eventbrite.com. Event Co-Chairs Libby Gordon and Kyle Stolarz are working with a committee of volunteers to plan a fun day for everyone. All proceeds will benefit children and adults who participate in the SOILL Chicago/Area 3 program. For more information, contact Kathy McLaughlin at 773-278-2178. 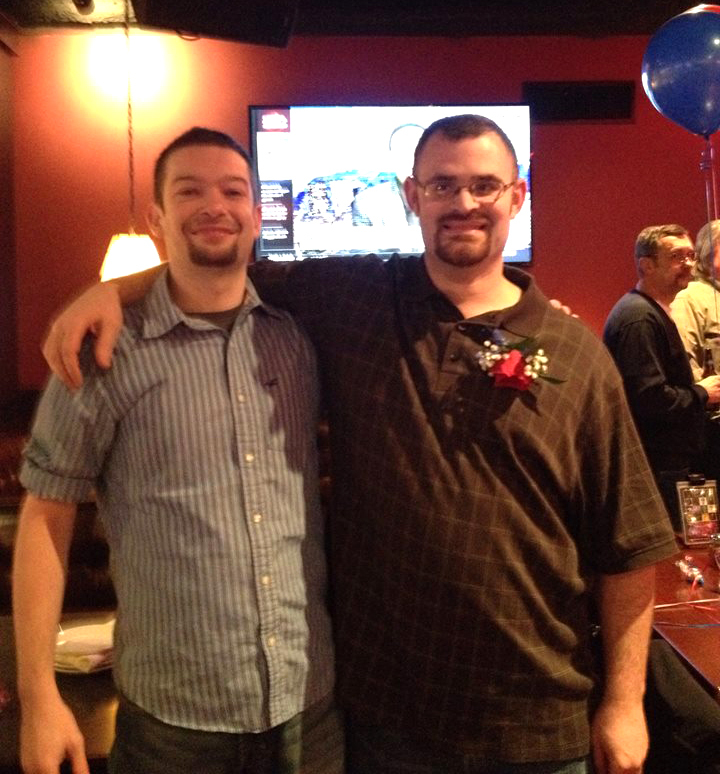 Champaign Mayor Don Gerard, named the month of February Matt Garland Month to honor the Special Olympics athlete. Matt, 34, won a gold medal at the 2003 Special Olympics World Summer Games in Ireland in volleyball. He was honored Feb. 25 with a meet-and-greet to proclaim Matt Garland Month. Family friends had tried to get Matt recognition for years, but it kept falling off the radar of city officials, said his mother Diane Garland. Finally, it came together earlier this year. “Basically, we’re hoping this is the start of the community recognizing Special Olympics athletes in various ways, like in the media,” said Diane. “I’m hoping it starts the ball rolling,” she said, adding the family has heard from a lot of people saying they saw about Matt’s accomplishment on TV. See TV coverage. 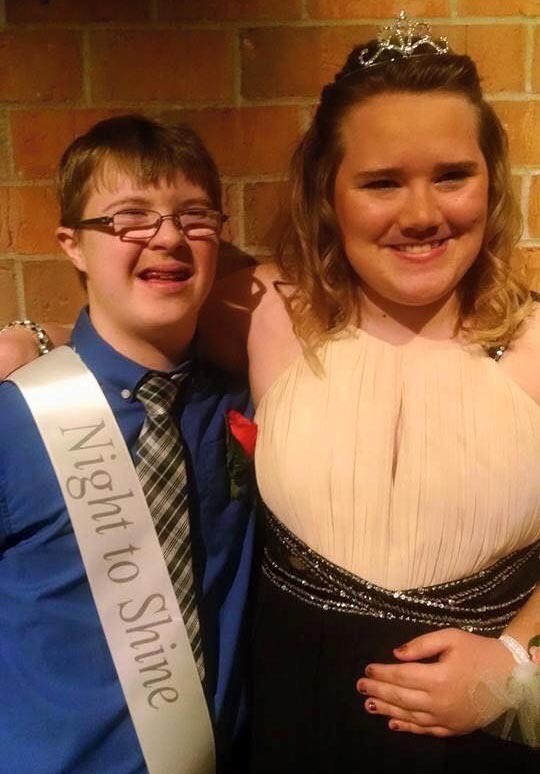 On Feb. 13, the Crossing Church in Quincy hosted a Night to Shine prom for individuals with special needs as part of a program held at 42 churches in different cities across the country and 2 in other countries simultaneously and sponsored by the Tim Tebow Foundation. Approximately 270 people with special needs (many of them Special Olympics athletes) from six of The Crossing’s campuses, including Quincy, Pittsfield, Macomb and Carthage, Ill., and Hannibal and Kirksville, Mo., attended, along with an additional 400 volunteers, said Debbie Fasano, a member of a 13 person small group that coordinated the event. The Big Ten Women’s Basketball Touranment hosted Special Olympics Illinois on March 7 in the Sears Centre Arena in Hoffman Estates. The night saw 35 Special Olympic Illinois athletes in attendance, along with several family members and friends wearing Special Olympics red in the stands. During the women’s halftime, Special Olympics Illinois NWSRA and NISRA competed in a 6-minute scrimmage. It was a close game with a supportive crowd, which saw it finish with a game-winning shot by Jacob. Watch video of the scrimmage. After the game, the athletes re-entered the arena to support players from both Iowa & Ohio State University. This event is a part of the continued efforts The Big Ten Conference to celebrate true athleticism at every level.